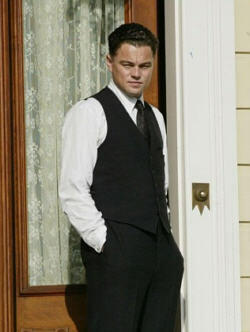 The upcoming film based on the life of J. Edgar Hoover and starring Leonardo DiCaprio in the starring role, J. Edgar, a Clint Eastwood directed film has gained a release date. The film will receive a November 9th, 2011 release date and will expand to a wider release on November 11th, 2o11. The film revolves around the life of the titled man and will feature a wide variety of cast and characters including Armie Hammer?, Naomi Watts?, Judi Dench?, Jeffrey Donavan, Josh Lucas and Miles Fisher?. Movie plot: Biopic on FBI director J. Edgar Hoover, focusing on his scandalous career and controversial private life as a homosexual and rumored cross dresser. Comments for “J. Edgar” Receives Release Date are now closed.